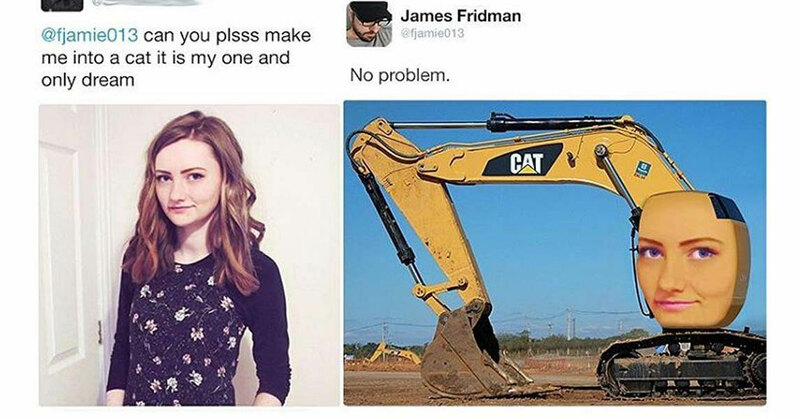 A lot of women have an issue with self-image. Not loving yourself on the outside can have negative consequences on the inside. Some women decide to turn to the Internet for validation. 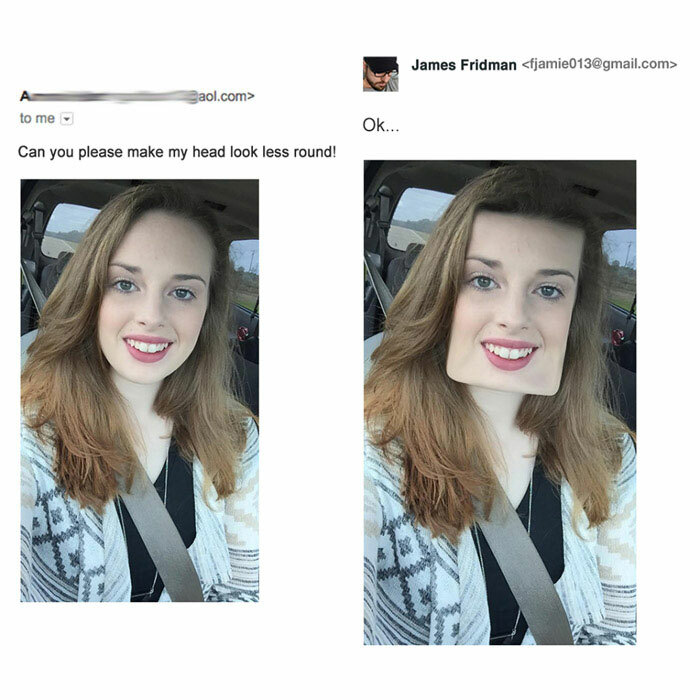 Others turn to the Internet to get someone to use Photoshop on their pics to change they way they look. The problem is, these girls turned to the wrong graphic artists. 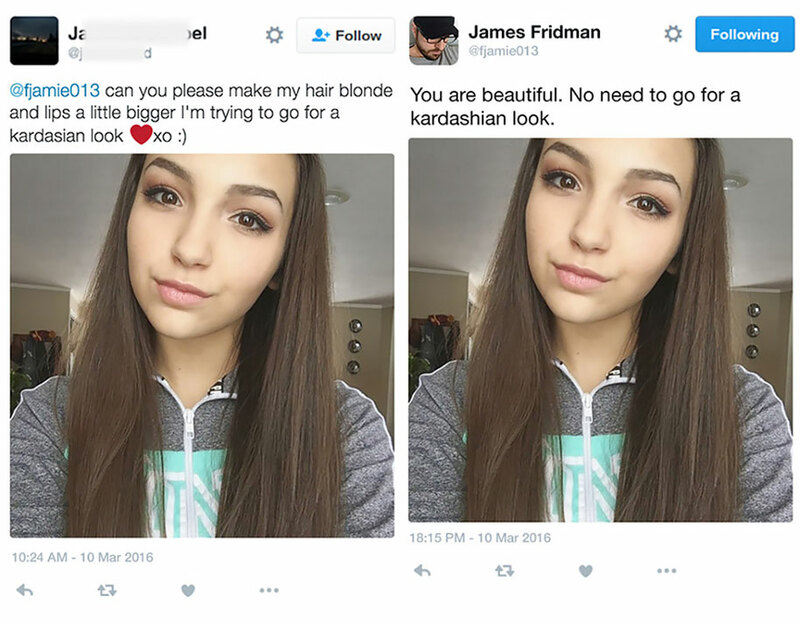 James Fridman is notorious for his Photoshop trolling. He is a beacon of hope in a laughless world. Sometimes he can be very poignant in pointing out the fact that people are beautiful for who they already are. As you’ll see in the upcoming slides, he doesn’t always go so easy on his subjects. This poor girl (who still uses AOL for some reason) was a little too vague. She obviously has an issue with her round head even though heads are typically shaped like that. Fridman decided to give her a look that was the exact opposite. Hopefully, she’ll see the beauty in her currently round head now. 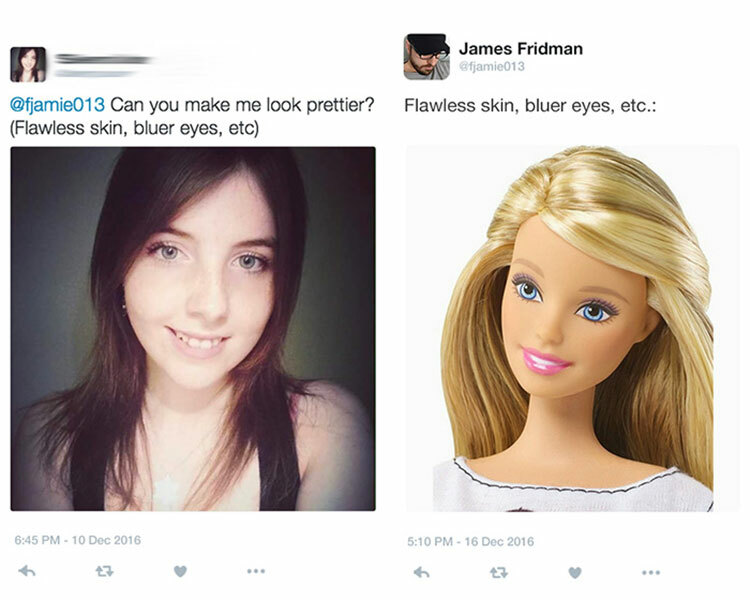 When Photoshop is not required to make a point about beauty, you post a picture of Barbie. The doll has been our society’s metric for beauty for quite some time. Some people have created images of what Barbie would actually look like in real life. It’s not so pretty. The next artist in #8 made an appropriate addition to knock his subject’s socks off. 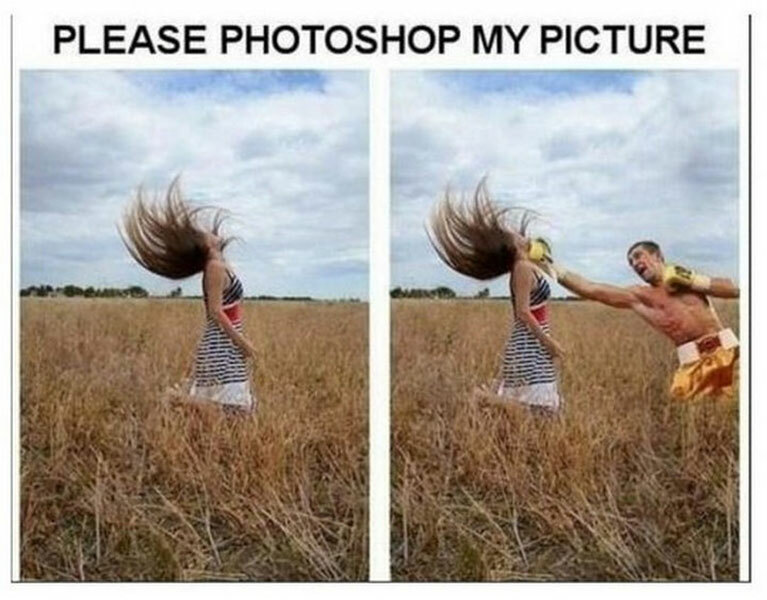 Just when you think your slick pose is that of a professional model, a Photoshop artist comes along to knock you back down to Earth. In this case, the girl has been knocked to the moon, Alice! What? No Honeymooners fans out there? Educate yourself on some sitcom classics, kids.